Hey everyone! 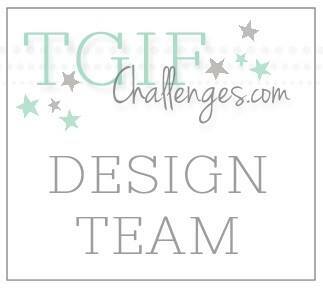 It is time again for another Artisan Design Team Blog Hop! 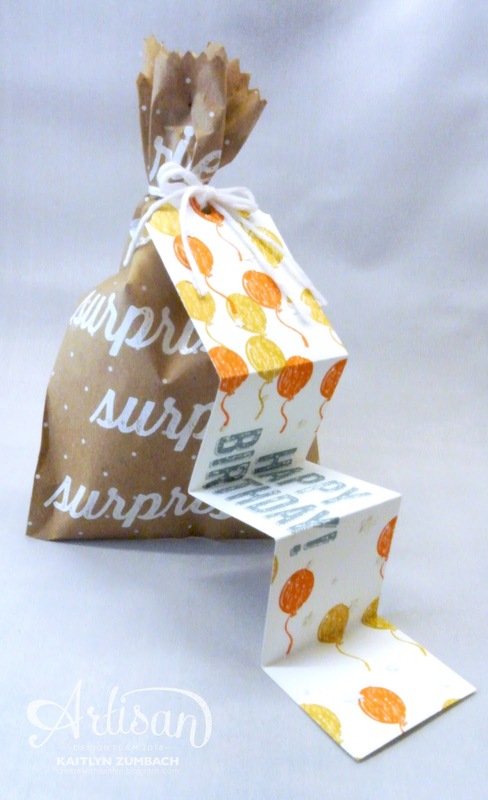 This week we are showing off the Birthday Surprise Stamp Set. Let me tell you, this stamp set is really a surprise. It is such a simple set I looked right over it in the catalog, but it is super fun! 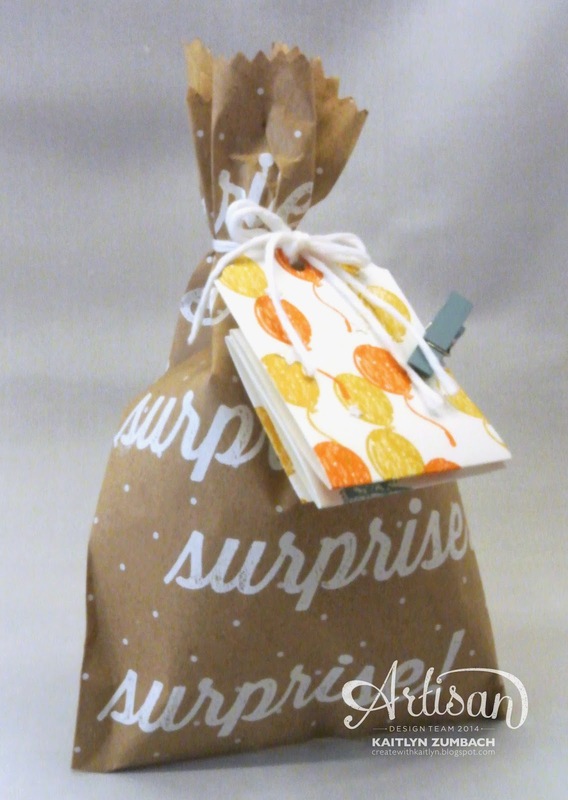 I made this fun treat bag or gift wrapping with the Polka Dot Treat Bag. 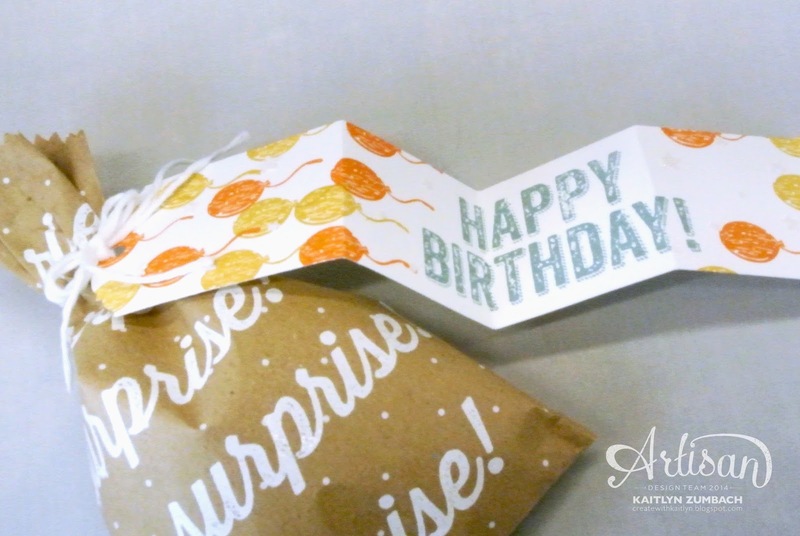 Embossing the "Surprise!" all over the bag gives it a fun extra pattern. The bag itself was so much fun, I didn't want to cover too much of it up. So, I just made this simple tag that is more than it looks. If you take the cute little In Color Clothespin off of the tag, then the it unfolds into this playful over-sized tag. When you make the tag with the Ornate Tag Topper Punch, just leave it extra long and score it every few inches. I love how the balloons look like the are rising up the tag! It doesn't show well in the picture, but there are some Dazzling Diamonds stars that add a perfect finishing touch of sparkle! Get even more inspiration with the Birthday Surprise Stamp Set by clicking the button below and seeing what everyone else has made! An accordion-tag - what a great idea!!! Love it Kaitlyn!!!! Love clean! 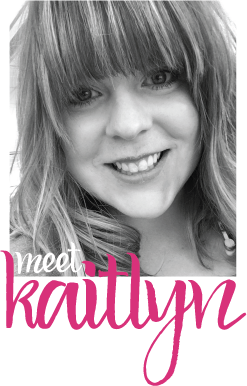 What a fun idea Kaitlyn! The accordion tag is SO clever! Accordian tag? Genius! I will be using that idea!